And they were doing it well. 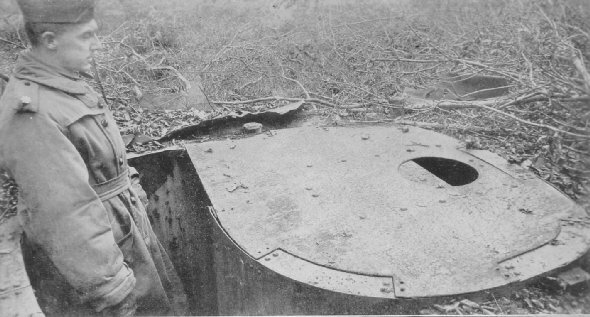 This picture shows a steel-covered German observation post at the edge of the Argonne. Cleverly concealed, observers could get their information through after the American lines had passed. 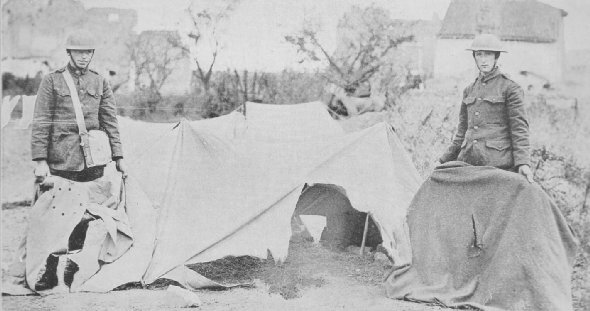 Shelter tent, blanket and raincoat pierced by a 9-inch shelland the two American soldiers who had just emerged from the tent before the shell landed. It was a narrow escape for them. Not all of our men were so fortunate.